-Four-Rib Design: Enhances tread stiffness for improved fuel economy. 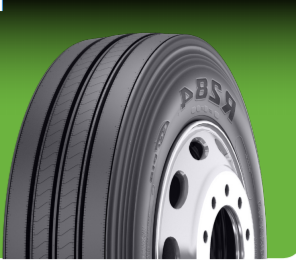 -Optimized Tread Depth & Width: Maximizes tread volume for long original life and lower treadwear cost per mile. -Defense Side Groove: Minimizes shoulder edge wear for long original life. -Equalizer Rib: Absorbs irregular wear, promoting uniform rib wear and higher removal mileage. -Stress Relief Sipes: Fight irregular wear and manage rib tearing on main ribs by absorbing rib edge stresses in the footprint for long, even wear.